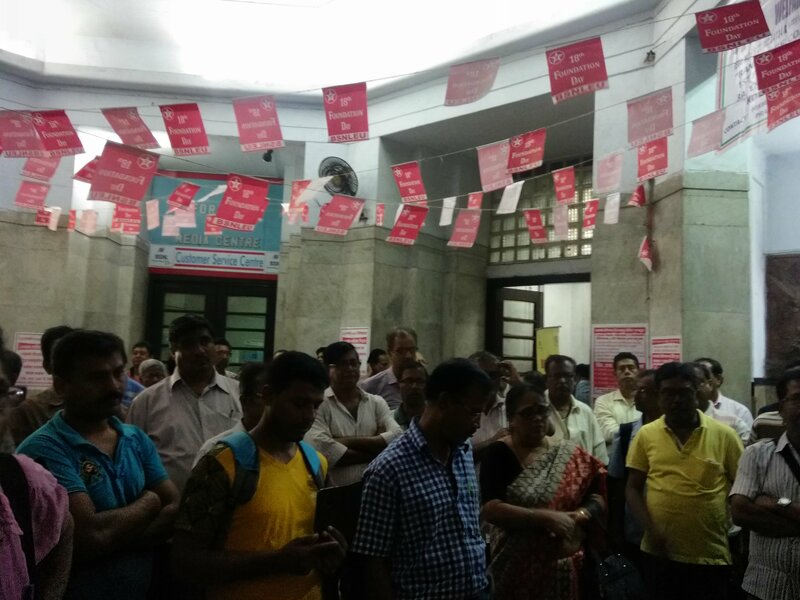 All Unions And Associations of Calcutta Telephones held intense Lunch Hour Demonstration at Telephone Bhavan to protest against unilateral action of DOT to form a separate tower company carving the same out of BSNL. All constituent unions and associations expressed severe indignation against the govt’s evil move to destroy BSNL. Employees are the main stake holder and how come DOT proceed without taking into confidence the service unions and associations. DOT resorted to half truth by giving an impression, all these days, that the company will be a subsidiary to BSNL. AUAB did not accept the proposal then; how come, govt thinks the same shall get accepted without a whimper. AUAB is resolute in its decision to fight the decision of the govt, tooth and nail to save BSNL. When substantial amount of business gets transferred to the new company at a hefty cost, it’s natural, BSNL will not be able to fend for itself. Com Dilip Saha CS addressed the gathering as representative of SNEA/CTC. Mobilise LUNCH HOUR DEMONSTRATIONS today (27-03-18), in front of Sanchar Bhawan, New Delhi, as well as at Circle and SSA head quarters, throughout the country. A memorandum, opposing the Subsidiary Tower Company is to be submitted to the Honorable MoS(C) at Sanchar Bhawan. Same memorandum is to be submitted to the respective CGMs and the State Governors, to be forwarded to the MoS (C). CHQ calls upon the Circle and District unions to successfully implement the call of All Unions and Associations of BSNL. Stenographer to PA promotion— The issue is pending since long. Many circles have completed the exercise thereby promoting Stenographer II & III to PA against old vacancies that were erroneously shown as filled. GM/HR informed that the cancellation of the order in respect of those who got promoted or transferred to other circle has been done. Now, the file needs to be put up with names of eligible candidates down the list for further process. He instructed the concerned office to put up with the file. Rule 8 transfer in the cadre of JTO–A few left out cases are waiting for release. GM said that as informed earlier, the cases will be taken up after completion of this financial year. TA/DA case of JTOs under DGM/NWO/BKP for under going training at Jaipur- The case has been taken up by the concerned account unit after official intervention. However, it is learnt that the entitled amount as had been given in other Areas is not under consideration. GM asked to provide the relevant order and he would see to the details. Medical cases related to indoor treatment-–many cases are pending for disposal for undergoing treatment in non empanelled hospital. Most of such cases had occurred under compelling circumstances and the officials stand entitled as per CGHS rate. Association requested to see to the cases. GM/HR assured to look into the cases. Posting of DR JEs-– The DR JEs were posted under EB purportedly to meet EB targets. Now, that the financial year is close to end, the JEs may be posted as per the first order to meet acute scarcity in areas, cmts, trans etc. GM/HR informed that the matter shall be reviewed shortly. Transfer case of Partha Sarathi Ray SDE(LA)/CMTS on medical ground.— The official is suffering from serious medical ailment and has prayed for transfer under Area Alipur, close to his residence. GM/HR informed to be aware of the case and would consider the same on medical ground. Association handed over the copies of relevant orders in respect of waiver of excess amount paid to officials and that of withholding the recovery from retirees who had been benefited with one additional incerement on vertical promotion in the same scale. The case was discussed with Dir HR in the meeting held on 24th March 2018. GM/HR requested to give a brief of the cases and assured to vet the orders as is justified. 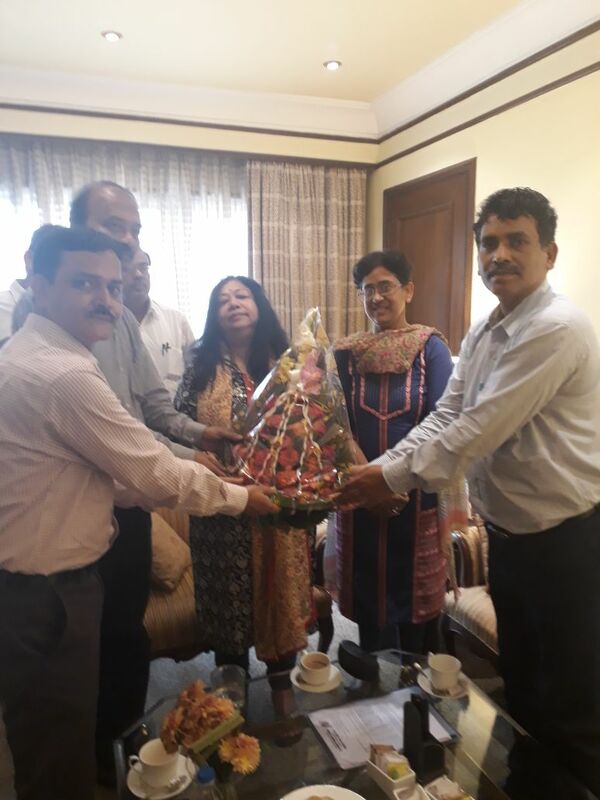 Com Dilip Saha CS, Com Soumen Ghosh ACS, Com Sankar Sanyal Jt Secretary (E) and Com Amaresh Raychowdhury met Smt Sujatha T Ray, Director HR & Finance on the sidelines of her official engagement in Kolkata. She too desired, association meet her and get briefed on the critical phase, BSNL is passing through, especially with respect to decline in revenue and the task to make the new tower company operational. As all knows, formation of tower company got notified in recent past by DOT but the same hasn’t been ratified by BSNL, till now. There is growing pressure from govt to start its operation but without any official fiat from appropriate authority spelling out its modalities. Way back in 2014, association had foresignalled about the imminent danger in the event the tower company is carved out of BSNL. A substantial portion of business will get lost to the new company and parallel power will come into play to pose hindrance in rendering seamless service. Services hired from the new tower company will come at the cost of hefty payment by BSNL, thereby denting further, its revenue base. 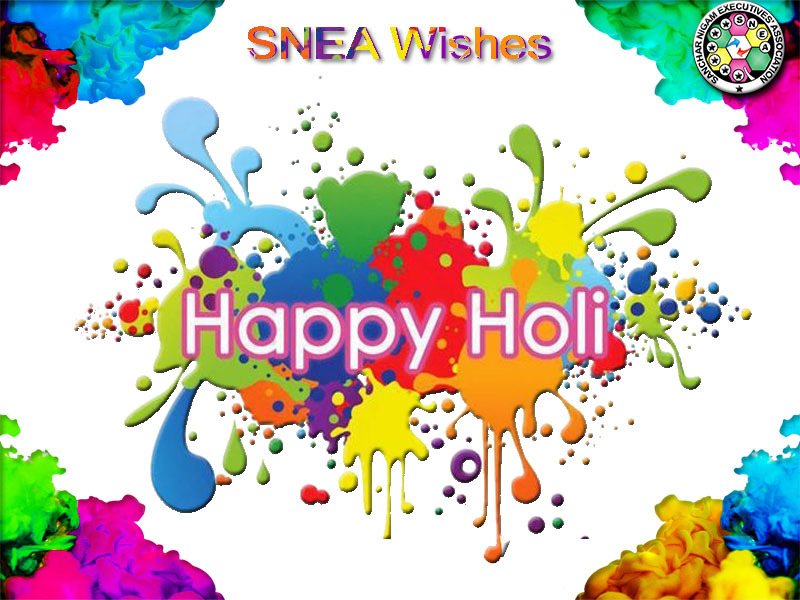 SNEA, in the beginning, individually, and later under the umbrella of all unions and associations has had been continuing with its struggle against its formation and resolves, not to relent till the notification in respect of formation of the tower company is withdrawn. As was apprehended, govt has gone a step further by announcing it as a separate company and not a subsidiary under BSNL, as was assured, wherein CMD/BSNL would stay as undisputed chief executive of the subsidiary too. DOT is usurping the power of BSNL, unilaterally, with the sole motive to make it unviable in near future. Dir HR did accept the arguments and apprehensions put forth by association and shared its concern for survival of BSNL. She too expressed her worry over the consequences of forming of parallal company and that too at BSNL’s liability to start its operation. However, she requested not to resort to intense struggle at this juncture, since BSNL is struggling hard to stay in competition. Association reminded Dir HR on how the members across unions and associations are doing exemplary work , even on holidays, to turn around CTD. The employees, as main stake holder, possess the right to act/protest in safeguarding BSNL and would not succumb to any pressure tactic that puts the organisation in peril. It is indeed ironical that BSNL is being asked to pay the startup capital in crores to operationalize the new company when BSNL in itself is struggling hard to rev up revenue. The untiring effort, being put in by the employees, holds no meaning, if we fail to stop the calculated move of the govt to bankrupt BSNL. Dir HR, profusely appreciated the workforce of CTD in bringing about massive change in service quality and achieving targets. She requested to convey her thanks to all and wished CTD continues with the same spirit and gusto in future too. Association acknowledged the role of HOC and other senior officers in guiding the workforce but suggested, management be more participative rather than dominative in running its show. The stress of working under fierce competition calls for more liberal and inspirational ambience to take on the rivals in the face of policies not so conducive to BSNL. Association took up some of the long pending critical issues waiting to see the light of the day. Since operationalization of tower company is knocking at the door and posing threat to BSNL’s existence, association felt to prioritize the agenda, given the significance it assumed. But then, the pent up grievances in all executives for being deprived of promotion, justified payscales, pay revision etc cannot be let go. A brief of discussions held on some items is reproduced hereunder. 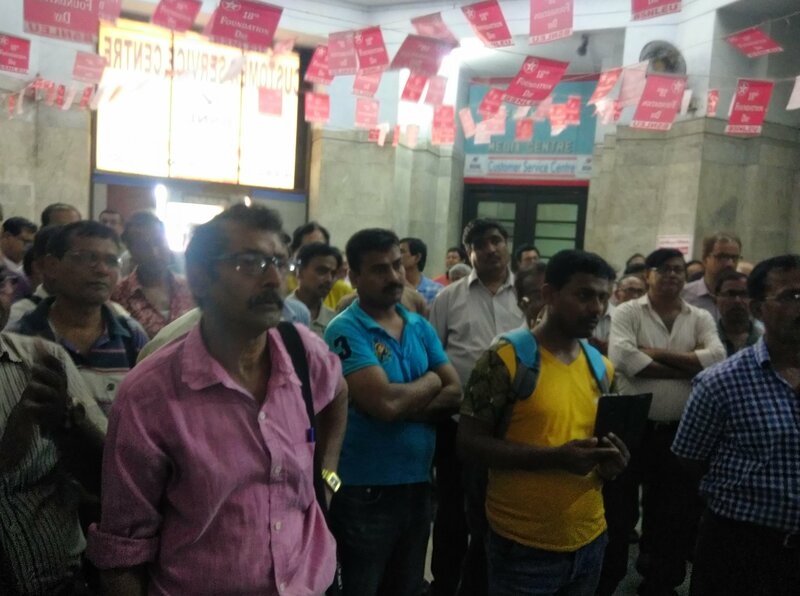 Association–expressed grievances for undue delay in granting the scales. The issue has been unjustifiably referred to DOE (Deptt of Expenditure), perhaps with a sole intent to logjam it in complexities of bureaucracy. DOT should have ratified the recommendation of the Board instead of sending it to DOE. Dir HR–The matter is being dealt by DOT on its prerogative. However, BSNL is pursuing with the concerned department to ensure the file from DOE is sent back to DOT. In fact, in recent past, DOT, once again, briefed the issue to DOE. Soon the file returns, the matter will be taken up by DOT, hopefully to reach its finality. Association–a severe frustration has gripped the executives for being deprived of promotion for long. On one hand, numerous court cases have stalled the promotion and on the other hand, CPSE hierarchy based proposal is getting overly delayed for want of approval from DOT. As a result of this impasse, all executives are languishing in their respective cadres for years together without any promotion before superannuation. It seems to have struck a dead end. Dir HR–This is absolutely untrue. In fact, keeping in consideration the interest of multiple stake holders with divergent views, it took some time to consolidate the proposal/s. After the board ratified the CPSE draft, DOT has put in some queries for its understanding. Though there was pressure from associations to send the reply forthwith but BSNL waited to meticulously examine the queries and reply accordingly to cut on possibility of further delay. The same has been sent to DOT. In fact, association should reach out to the members in apprising how BSNL is putting its best effort to see CPSE Hierarchy comes through. However, BSNL is also exploring legal opinions to see, if promotion can be granted, keeping aside posts under quota till the disposal of final judgement. Association wanted to know the latest status on 3rd PRC. An impression has gained round that Hon’ble MOC is keen to seek relaxation on affordability clause for its implementation and so employees has been urged upon not to resort to agitation. There was no movement on the issue inspite of total strike observed on 12th & 13th of Dec 2017. Later, however, following march to parliament by all unions and associations, things looked up in the meeting held on 24th Feb 2018 with Hon’ble MOC. Dir HR–as said, Hon’ble MOC has shown great keenness to take up the issue of relaxation in affordability clause to Cabinet. Following the meeting on 24th Feb 2018 with all senior officers of DOT & BSNL, Hon’ble Minister directed to seek opinion of DPE. File in this regard has been sent to DPE for its view. In all likelihood, DPE may ask DOT to prepare cabinet memo for its placement. BSNL is keeping track in its progress but requested associations to be in touch with DOT too. Meanwhile, she strongly believes, BSNL will do its best with the support of unions and associations to gross up revenue in the intervening period. 30% Superannuation Benefit to BSNL Recruitees. Association wanted to know, over what period of time the full amount of 30% can be expected. The figure is a mandatory feature in the provision contained in 2nd PRC and delay in its award is adding to financial and social insecurity to BSNL recruitees. Dir/HR-as you know, BSNL is in financial low over a period of time. Inspite of such critical situation, BSNL granted 25% till date as part of commitment made. At this stage, the company is embroiled in some issues related to tower company, 3rd PRC etc that entail outflow of revenue. In view of above circumstances, the matter hasn’t been in discussion. The issue is not out of attention rather it is well under consideration. Association- the pension revision of BSNL retirees is regulated under Rule 37A and revision of the same should be at par with the principle adopted for retired central government employees. It should not be linked to revision of pay in BSNL. Dir/HR–BSNL is also of the opinion, not to link pension revision with the pay revision of BSNL. However, associations also must pursue the issue with DOT. 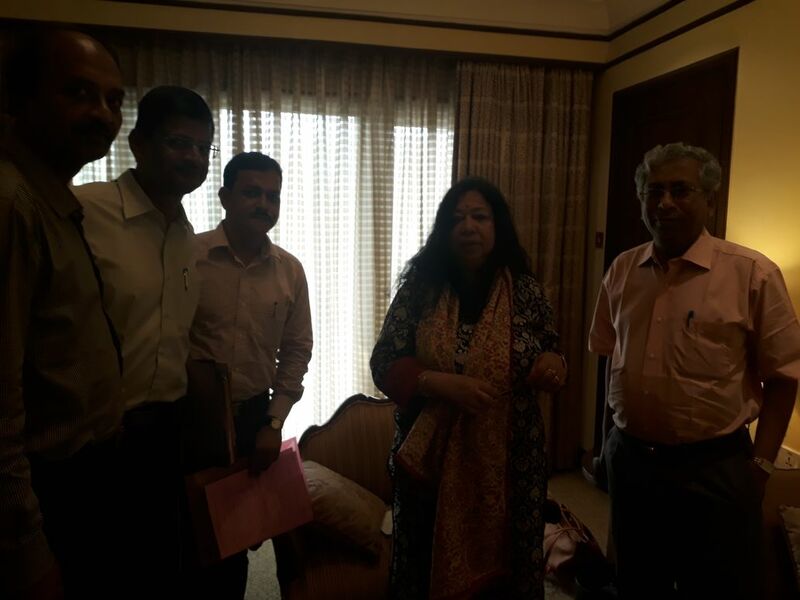 Hon’ble MOC, in the aforesaid meeting directed DOT to initiate the case. She observed, too many associations of retirees have come into existence. It is desirable, all such associations consolidate under one umbrella body to meet the objectives. Association-the additional increment as contained in the provision of EPP had the concurrence of DOT. Then, how come the same is being withdrawn by DOT citing its untenability due to objection raised by audit as per provision contained in 7th CPC. This is utter injustice as the excess amount is being recovered from the beneficiary while retiring. Dir/HR- This should not happen. There is court directives to withhold recovery. She guess, some circles are yet to endorse the order. She directed GM/HR/CTD present to vet the order for withholding such recoveries. If any clarification is required, GM/HR may get in touch with her office. DOP&T order, endorsed by DOT based on dirctives of Supreme Court, not to recover excess payment from officials during retirement, if the same hasn’t been done with one years from his/her retirement that may have occurred due to erroneous fixation or any other reasons thereof. The excess amount so paid shall be sent to DOT for waiver. Association–many officials had their fixation in different circles while they were under transfer. Sometimes, the interpretation for applying the principle of fixation vary from one official to another, resulting in either under or over payment. Once a fixation is approved in a circle, it is presumed the same is correct and review of the fixation, so made, doesn’t arise until retirement. The order envisages for waiver of the amount paid in excess by DOT but same has to be put up with proper facts and figures for consideration. There remains a strong possibility for fixing the officers/officials responsible for fixation and maintenance of service books of the affected officials. Moreover, the circle administration is also not sparing the custodian of service books from being fixed. Inspite of the order mentioning for waiver, some lower courts and circles are fixing the officials responsible for fixation and maintenance of service books by recovering the excess amount from the alleged officials. It is indeed a cause of concern, since the officers, for no fault of their own stand liable for recovery of the amount from their pay. Dir/HR–readily accepted the injustice inflicted on the officers/officials concerned as custodian of service books. She immediately directed GM/HR & Admin to see to the case and take appropriate action. She also requested the association to hand over the copies of the relevant orders to GM/HR & Admin/CTD and asked him to get in touch with her, if things stay without resolve. Association expressed its content in having a warm and candid meeting. Dir HR appealed to keep the service and growth of CTD in tact and assured to meet again in her next meeting. Com Dilip Saha CS and Com Soumen Ghosh ACS met GM/HR & Admin to discuss on some pending issues and requested for early resolve. Rule 8 Transfers in the cadre of JTO—association reminded to initiate processing the left out cases. The cases are being contemplated to be taken up following the end of financial year. Posting of Kuntal Mondol as SDE under Area/BKP–-association expressed its disappointment over posting of com Mondol, as the officer had joined CTD on completion of hard tenure and quite justifiably looks forward for convenient posting. Association requested for modification as and when new incumbent arrives. In last phase of postings too, following arrival from tenure circles, few officers got posted far from their respective residences. Administration is requested to take view of the hardship faced by these officers, particularly in view of the fact that they had joined after completing hard tenure. GM informed to keep the matter under consideration. Delay in payment of leave encashment and fixation in EPP-case of Shyamal Basak(Ex SDE) and Bibhas Pal (Ex SDE) respectively— Shyamal Basak SDE/LA had retired from HQ since last six months but unfortunately the amount due, in lieu of leave encashment has not been paid to him. As on earlier occasions, the file shuttles between HQ and Corporate Accounts on the ground the officer was in the substantative cadre of JTO on the day of retirement. Association requested to end this blame game and come out with a firm order categorically stating the unit responsible for the job. Administration informed that the case of Shyamal Basak is under process. Bibhas Pal had been awarded EPP on Jan 2017. He retired in Aug 17 from Area/BKP. Inspite of order prevailing, the fixation benefit for his EPP has not been awarded till this date. The case merits immediate attention. GM assured to look into the case. Confirmation in substantive cadre– case of Jayanta Ghosh Dastidar JTO– discussed the matter in details. it is informed the concerned unit is already seized with the work. Non Settlement of TA/DA in respect of JTOs who had undergone Phase-I training in Jaipur under Area/BKP.–case of Sushil Kumar, Rahul Kumar, Avijit Biswas and others– The aforesaid officials have joined on promotion as JTO under Area/BKP and submitted claim for TA/DA as entitled. Unfortunately, even after elapse of several months, the claims have not been resolved. Administration informed to inquire into the issue for early resolve. Non settlement of medical bills in respect of those who had undergone treatment in unempanelled hospitals/Nursing Home- Many bills are pending settlement thereby depriving the affected executives of the amount they had incurred on treatment. Association requested to go by extant rules for entitlement instead of keeping the cases pending for long. It was informed the cases will be examined in phases for settlement.